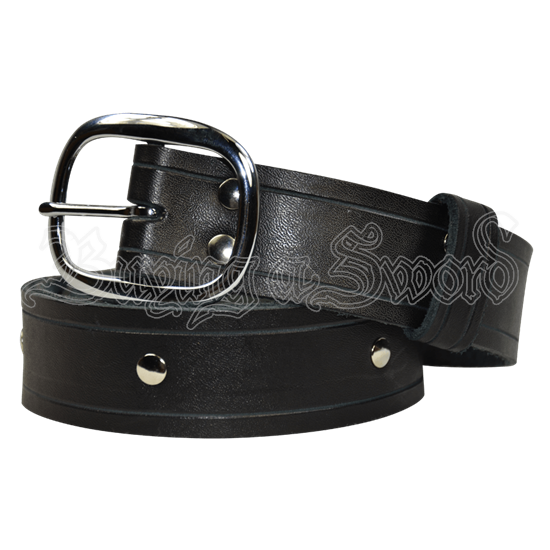 Our Studded Medieval Buckle Belt is available two different ways. 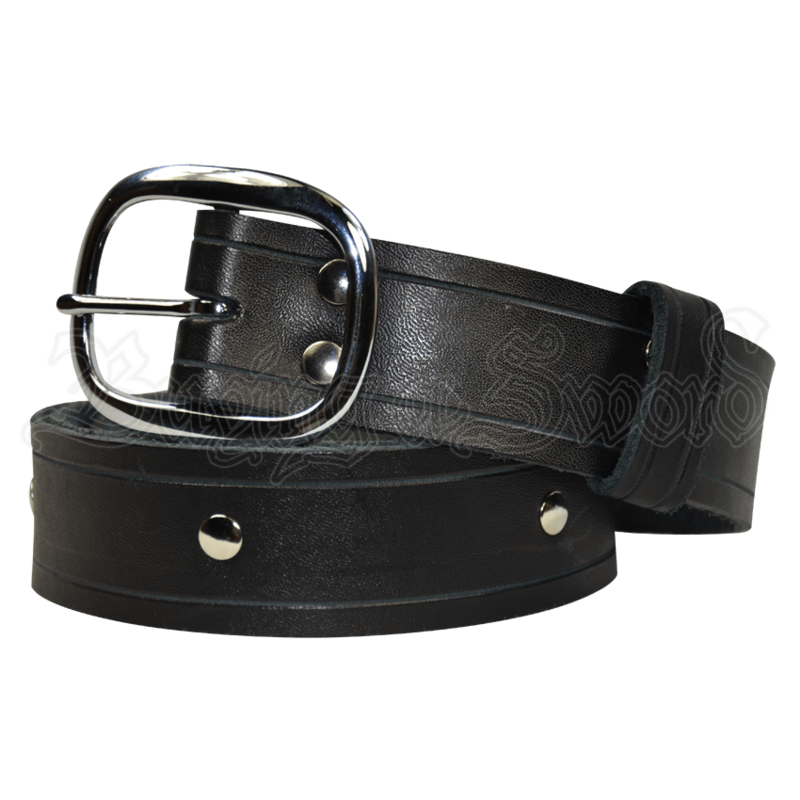 The first is our Regular Length which is a normal buckle belt fitted to your waist size. The other is version is our Long Length, which is just like the regular length (fitted to your waist size), but with an extra 15 inches on the end of the belt. This gives the belt a great medieval look just like the ring belt but is a little bit sturdier due to the buckle. It is made of 7/8 oz. sturdy belt leather. The belt is 1.5 inches wide. It is available in black or brown. You also have your choice of silver (steel) or gold (brass) hardware. Sizes are Small (28-35), Medium (33-40), Large (38-45), X-Large (43-50).